My thanks to Priscila Inocêncio who provided me with the notes of the Cobra conference held in São Paulo (Brazil) on December 1 and 2, 2018 at the oevento.pt site. Only some terms have been corrected and some links have been added that go into the various subjects. For those unfamiliar with The Event (the upcoming planetary changes), this is a good article to read with due attention and those who feel guided, should share it! Let’s now go to the notes as narrated by Priscilla Innocent. I had the privilege of attending the Cobra Ascension conference and produced a report with my notes and insights to share. Following is the information for the two days of the conference. I put all the exercises he went through for contract cancellation, implant removal and demonstration. Remember that the information is being passed from the point of view of my understanding, this is an important point he (Cobra) asked to highlight when sharing. At first he talked about the galactic super-wave and the galactic alignment! A window of ascension was opened in 1975 and goes until 2025. We are about to have a synchronization between the galactic pulse and the galactic super wave that comes from the central sun and this super galactic wave that in the past destroyed Atlantis, this is what we now call the Event! The light forces with their ships are here in Earth’s orbit to lessen the impact on earth that will occur with the galactic pulse along with the galactic super-wave. The first, you receive when you come to Earth for the first time. The second receives the incarnation. The third comes from the parents. The fourth comes from the schools. And the fifth comes from the media. He explained that the new Atlantis Project is a project of the light forces for the liberation of the planet and that Brazil has a strong connection with Atlantis, because there is a very large vortex. The old equator line in the Atlantis era passed through São Paulo and that was one of the reasons the conference was here. The Project aims to bring a great network of light to the planet. Saint Germain instructed the Cobra to make a network of Tachyon chambers and these chambers are bringing Pleiadian energy into the Earth grid network. He explained that it is important to plant the cintamani stones to extend this network of light! There are cintamani stones planted in various parts of the world, in Antarctica and even in the oceans! It is already possible to feel a tangible effect- In Beijing (China), for example they were planted as a flower of life (Lotus) and there has already been an improvement in city air quality. It is a living network of light in the form of sacred geometry, which cleans all the plasma and brings light and will help to strengthen the event. The points of entry for the mother ships will be where Cintamani stones are planted. When one is planted, a huge Angel anchors and creates a vortex of energy that may have a diameter of 20 to 30 miles. They come from Sirius and are intended to awaken all mankind. Saint Germain when incarnated as Francis Bacon published the book called New Atlantis and described the vision of how the golden age would be. While incarnate as Count, Saint Germain opened a secret school of mysteries in Paris that was connected with 3 Masonic lodges. Benjamin Franklin was a member of one of these stores and was influenced in the proclamation process of the Republic of America. The dark forces still have a detection system for any space ship and that is why the first contact has not yet happened. Mass meditations are important because it brings us closer to the event, reaches the critical mass and accelerates this process effectively. We have been living for 25,000 years of programming, the forces of darkness have taken 25,000 to build the Matrix and we are deconstructing it in much less time. The Agharta Network is very active and they are creating the shrines of the Goddess! It’s a project brought by the forces of light into this new Gamma timeline. There were many changes in the timeline this year, we were under the alpha timeline, but after the death of Isis Astara, we entered the Gamma timeline. It is very safe and stable and involves a direct intervention of the forces of light. All those who own a private property with a good dry land space where they could land a ship can participate in this project. You can give permission for this landing, but it is very important that you do not tell anyone. When more dark forces are removed, people will be contacted so they can talk in the media about what is happening. The first contact will be the United Nations. It is a set of laws and in which the whole galaxy is ruled. They are the basis of society and after the first contact will be brought to all mankind. In this code there is the Law of Intervention, where the Galactic Confederation has the right to interfere militarily in Planets where the Galactic Code is violated. Earth is being violated and that is why the light forces have decided for a military intervention on the planet and the confederation is giving all the support for that to happen. After the event the planet Earth will be the domain of the Galactic Confederation and humanity will become a member of it. Let’s co-create a future according to galactic laws! The ships are present and camouflaged even as asteroids. The archons dominate the planet through the black nobility and the Jesuits. Draconians keep control through politics. The most evolved race is the Galactic central race. This is a protocol where selected people who do not have physical attachments or attachments, who have skills and are good at what they do, will be given the opportunity to help during the process of the event. The ascension will occur at Individual, group and planetary levels. There will be intense spiritual growth on an individual level. 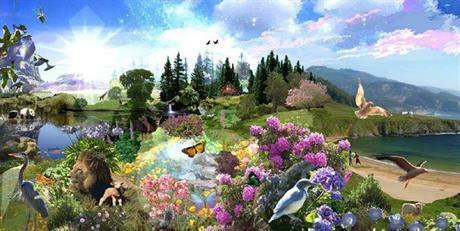 Each of us belongs to soul groups and these groups are growing and this will help in the transformation of the Planet. The ascension process will only begin after the Event. During the Event there will be a great opening of information and a greater perception about everything, including all the actions that were negative for the planet. During the process of transformation all human beings will face reality and a new structure of society will be born. People will come in contact with their soul families, access to the islands of light and ascension process will be much more accelerated. The beings that will be part of this ascension will rise to the fifth dimension or higher! It will not be all mankind that will undergo the process of ascension. Many will continue to evolve in the third dimension. We sign contracts when we enter the quarantine of the land, where we allow the intervention of the dark forces in our lives. We all sign contracts with dark forces and we get implanted with black holes in our energy vortices, and these implants work with the separation of the feminine and masculine and each one receives a part! IN THE NAME OF MY I AM PRESENCE. IN THE NAME OF MY SOUL. IN THE NAME OF THE SOURCE. IN THE NAME OF ALL BEINGS OF LIGHT. I CANCEL AND NULLIFY ALL MY PRIMARY CONTRACTS WITH THE FORCES OF DARKNESS. ALL MY PRIMARY CONTRACTS WITH THE FORCES OF DARKNESS ARE NOW CANCELED, NULLED & VOIDED. ALL THE CONSEQUENCES OF THESE CONTRACTS, PAST, PRESENT AND FUTURE ARE NOW NULLED & VOIDED. After writing reading it aloud for 3 times, continue doing this exercise every day. (He did not say for sure how long we should do this, he joked that it should be hundreds of times … laughs). We have all received these implants in Atlantis. Implants have a rotating black hole within them and trigger our belief system. In this triangulation there are 2 implants in the head above the eyes and an implant four inches above the navel. They are implants of our separation from the source. And all religions exploit them! It is an entrance portal of unity to duality. All belief systems emerge from it. The man who receives this implant feels the desire but does not feel the emotion. In the case of a woman, she has no sexual desire but feels the emotions. It also divides the upper and lower chakras and blocks the process of manifestation. There is also a control implant behind the head that is the implant of survival, of fear, where you need to work and work for survival, it gives you the feeling that if you do not work you will die. As you write, feel the energy of each statement. The second exercise removes the implant that is above the navel, including you can even feel this implant, tighten the place about 4 cm above the navel and see if you can feel it; you may even feel a strange sensation when you squeeze. Feel the sentences as you write and repeat the process until you feel your implants are gone. He said that it is important to always write and not only talk, when you write it give potency to the exercise. He explained that there are several different dimensions and levels of creation. The third dimension is where the physical plane exists, the highest level being the plasma (which is between the third and fourth dimension). In the fourth dimension there is an etheric plane where the mental level is more rarefied. In the fifth and sixth dimension are the soul levels. And the seventh dimension is that of the source. Your body of light is the same as your soul body, it sends kind of a ray to your physical body, to the energetic body and to the plasma body! When this connection is created you activate your light body and in this process you ascend and the presence of the soul comes complete to the physical body. When you become one with your presence I am and your soul, you become a portal to the fifth and sixth dimension. When you activate your body of light it becomes your personal vessel, after ascension you will learn to navigate with your body of light. The Pleiadians do this and fuse their body with the ship and fly at amazing speeds. Everyone who goes through the process learns to do this. It is a technology of the Ashtar command, it is a kind of ray of light that comes from the mother ship and descends to help in the process of aligning its energy field. Through this technology tele-transport can be done, but still could not be used because of the Toplet bombs. Today we can use a simplified technology that connects us with the beings of light and our presence I am. “I call upon the pillar of the pure white light to descend and from around me…. I call upon the Presence of the I Am That I Am…. Manifestation ProcessIt is a simple theory, that with practice you”ll improve more and more, he explained that the books (the author of this site: Secret, Law of Attraction are some books that do not explain it correctly) do not explain the whole process and there are many things about this process of manifestation that are not correct, so there is a frustration of some people during the process. The first is to make the decision to manifest something. Many people lack clarity about decisions and most of the time are not taken from their true Self, from their inner nature, but from external influences. You need to find out what you really want and maybe it’s not the same thing that society wants and that decision is a spark of free will and from it starts the process of manifestation in the physical. Having a physical action, an experience, he said that the body needs to have a real sense of what it wants to manifest and gave an example of someone who wants a Porsche, he directed that the person get in the car, take a test drive and leave your body feel this sensation. This process needs to be repeated several times until you get what you want and the most important thing is to never give up, because anything is possible! He spoke the phrase that Jesus said: Ask and you will receive! Cobra explained that the process of manifestation on this planet is slow, because the forces of darkness do not want people to succeed, because that way they would not follow their program. Spirit and matter are two sides of the same coin. Spirit is rarefied matter, and matter is dense energy. You are a stellar portal, your consciousness is a portal that transforms spirit into matter and matter into spirit. The financial system was created by the forces of darkness to control mankind, but you can use that system to manifest abundance in your life. You can change the game! He suggested using a small model, a miniature of what you want to manifest in that process. He explained that the mission of Saint Germain is to bring abundance to the earth so invoke him to assist in the process. Visualize a golden light coming from the sky, passing by you! Breathe in the golden light and in the exhalation release that light in all directions of your being. Take that breath a few times. And imagine a golden coin in the palm of your hands, feel the weight and its hardness, this is the symbol of your prosperity. Continue to breathe and feel the abundance already manifested in your life. And when you’re ready open your eyes. Take a sheet of paper and draw your map of the manifestation. Draw everything you want, all the details and remember that there are no limits. After drawing everything you want on this map, save it and after a while (1 or 2 years) look at your map again and see which of the wishes you have expressed. You can also demanifest something you do not want in your life! How do you demanifest something you do not like? First is to take the Decision not to tolerate this anymore, you must have a very clear and firm decision! And you visualize with emotion and evoke that you no longer want that unwanted experience in your life! And evoke the presence of the forces of light to accomplish this physical action. And persist in this process. The central galactic sun is sending a powerful galactic pulse that will send a great wave of love towards our planet. On the surface of the planet many anomalies have already happened that need to be transformed, 5,000 years ago in history the pure female principle was suppressed! The return of the Goddess will return this pure female principle. This new energy will trigger a great wave of healing and realigning to human society. We are coming at a time when this alignment is crucial to the survival of the earth. Throughout history there has been a secret society called the rose brotherhood that arose in Atlantis for the purpose of anchoring the energy of the Goddess. In recent years light forces have been instructed to renew the sisterhood of the rose groups and this groups should be meeting physically 1 time per week. to revert and bring more energy from the goddess to Earth. This archetype of unconditional love melts all separation from the planet and brings unity into all situations. The priestesses have been attacked many times for trying to anchor this energy of the pure feminine. At this point he called all women who felt guided to create groups of the sisterhood of the rose to get on stage, and could be men too but was not very common. There was a huge amount of women and a few men on stage (COBRA was even surprised) and at that moment warned about the presence of Goddesses and beings of light that were with us, Isis Astara was there and there was a process of creating a vortex of energy of the very great Goddess, all the people who were there onstage received a blessing from the Goddess to assist in the creation of the new sisterhoods of the rose. Many people on stage were thrilled and intuitively began to chant a mantra, it was a very strong and beautiful process, they stayed for a few moments like this, until the Cobra finalized the process. Many people in the audience also felt this strong energy, it was a beautiful moment and for me the climax of the event. The awakening of soul families! Soul family are beings that came to earth and were created from the same origin as each of us. Everyone knows their biological family, but human society will move to another level. We will begin to create our connections from the soul level. As we approach the event there will be more recognition of our soul family, and those connections that will form, are the key to dissolving the veil! When there is a soul connection there is a rupture of the matrix. These soul-family connections are very deep. Soul mates have a very strong connection for coming from the same star portal. Usually when the beings of male and female souls meet there is a strong magnetic attraction and they can recognize themselves by making a very strong and beautiful connection. It may happen to trigger a trigger of all belief systems, and some of them want to run away and he gave the example of playing cat and mouse, but in fact that person who flees is afraid to look at a pattern. The matrix always seeks to break the connection of soul mates, for it is a sixth-dimensional energy that can break it. He said that if this connection happens to you, do not run away, do not try to run away from the other, recognize those patterns and dissolve them, if you can do that, you will enter into a sacred union and a resonance of the sixth dimension field. It is also a strong key for the anchoring of the Goddess energy on the planet, because it is not only the woman creating this energy, it is connected with the union of the sacred male and female. And those places are key points. He explained that the war in Syria is really a struggle for control of these vortices and the reason that there is a lot of confusion going on in Paris is because there is a very strong vortex of that energy there. 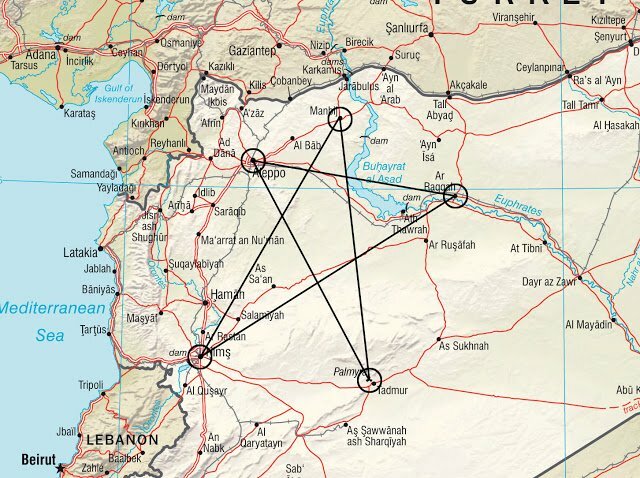 The 5 vortexes of the Goddess in Syria: Manbij, Raqqah, Palmira, Homs and Aleppo. These vortices form a 5 – pointed star, or pentagram – the geometric symbol of the Goddess. He asks to follow the news about Paris. Kundalini energy was activated on November 11 this year and resistance was in the process. Twin souls are one being, who incarnated in two different polarities, is a being that has been divided into masculine and feminine. In most cases the archons act to avoid this encounter. A female implant is structured in such a way that it seeks its soul mate in a specific way, it projects that the other person has that aspect. This program has been updated over the past 10 years and is being programmed into hollywood films, conditioning the consciousness, engineered by the control forces, for women to be controlled. The women go out looking for the perfect men and the Cabala interferes by disturbing this encounter of their soul mate. The woman expects the person found to be her soul mate and for this reason there is a lot of tension and conflict. The key to destroying this program is to recognize the man as he is, not as an extension of his soul-mate, and if he recognizes it, something magical happens and a true soul connection begins. The second part of the key is female sexual energy, which has been the most suppressed in the last 5,000 years, 99.9% of women on the surface have created a split, a double personality, where there is the inner self, and there is a woman’s public self respectable, and this is how a false society was created. Women pretend to be what they are not and confuse men, and that is exactly what the Archons want. The great key is that women need to become aware of their Sexual Self and need to make a conscious decision about it, choosing which signs they will emit. 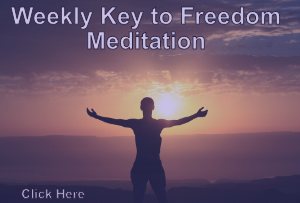 A small part will begin to activate kundalini energy in a conscious way. Women have the power to heal society and it is no coincidence that healers are mostly women. Women should heal the connection with man, stop projecting the soul mate on the partner, wake up the energy of the kundalini and begin to express itself in whatever way it wants to express itself. Many women will be priestesses who will bring healing using sexual energy. Before the event these priestesses can awaken the kundalini. Men have been trained to suppress their emotions, educated who need to be strong and who can not show their fragility. Man also has double personality. Every time he feels the fragility, he tries to hide it and when he suppresses it, the archons use this energy to create wars and kill people, because as they can not be fragile, the orders are given and they fulfill them. The man to heal himself, must acknowledge his weakness and not suppress his emotions. Some women were already initiated into the secret of the Goddess and were trained to anchor this energy through dancing, singing, and using the energy of kundalini merged that energy with that of the heart and were able to heal. When men returned from the wars, they went to the Goddess temples and made love to the priestesses and there was a transmutation of the traumas using sexual energy, that was about a little over 2,000 years ago. The High Priestess had the role of anchoring energy for the whole kingdom with the king. And it was for this reason that the Egyptian kingdom survived for 3,000 years. There are errors of interpretation about it on this planet, there is a positive, pure archetype of true commitment and devotion, it is when a male and female being unites and make a conscious decision of devotion to one another, but 80% of planet do not make that commitment and so it creates a lot of confusion. There is also the archetype that you can have several loves at the same time, including sexually but that is rarely is found on the planet. If one party has this tendency, it tends to hide and this creates betrayal. He suggests that if someone would like to have relationships that way, do it openly by talking to the partner, because the important thing is for you to be honest with yourself. That’s the only way to find happiness! Women have a main schedule, which consists of how to attract and hold a man, how to talk, how to dress and for many women the goal is to krrp the man. For men’s programming is on the contrary, there is a secret society that teach them how to seduce women. These two implants interact together and for this reason there is no real connection and harms the encounter and the soul connections. The goal is to transcend programming, connecting sexual energy with that of the heart. Man needs to connect sexual energy with the heart and allow himself to feel suppressed emotions. Women need to connect heart energy in the sexual field. Cobra said: If you do not make love, you will make war. Men, many times in some eras, were seduced to go to wars by promises that on the other side would find 72 virgins waiting for them (laughter at that moment). Men who had a lot of sexual frustration, needed to use this energy in another way, going to wars for example. For the woman to resume her energy, she must undergo a healing process of traumas and everything that has passed and this healing begins in the awareness of her state and her emotions, in order to enter a journey of healing. Cobra explained that some people will begin to live on islands of light of the rising planet. People who feel guided need to be fit on all levels, have no vices, be leaders, have financial stability and be very good at what they do and will go through a selection process. These people will need to leave their lives to live in these islands of light. The first light island of Brazil was created with all the people who felt guided to participate in this project. All volunteers will receive instructions from Cobra to initiate a new project. And that was personal, I tried to get as much information as I could get and absorb, but overall there was not much in-depth information from Cobra, the explanations were very succinct. Sorry if I might not have been able to get the full sense of information out, I did my best and wrote down as much as I could to share. Very grateful to share my story! There! Your name has been corrected. thanks Eduardo. Not a big deal yet she got the ATVOR invocation a little off as well. It is importatnt to sound and feel these words in your heart so it flows a little like a poem. Thanks for noticing, it has now been updated! I want to leave a humble but powerful comment here for anyone who wants abundance, but I feel that to many words are excessive. Take note if you are looking for some very good material to study in regard to this topic and many others. There are 17 books from Saint Germaine Press in which Saint Germaine himself has taken an active role in writing of. Here is the link to those books. You should start with what your feelings are on. This contains vast amounts of information. Clicking on the hyperlinks and reading that information has taken me most of the day, well at least six hours of reading, but my god, well worth it. I check the 2012 Portal blog daily and always read the comments. The prepare for change website also gets a daily visit from me. I do not wait in anticipation for the EVENT to happen anymore, instead I look forward to the arrests to happen and for the hidden technologies to be released. The future looks very promising for humanity. Physical evidence of what’s being talked about here need to show up, like the masses’ lives must be changed at fundamental level especially with regard to having to work to pay the bills, for them to be interested in what’s talked about on this website. Otherwise those of us talking about this will have to deal with laughter and ridicule until it reaches our limits of tolerance or something changes. Its no coincidence that most weapons from rifles to tank cannons, torpedoes, bombs, cruise missiles and ballistic missiles are phallic in nature as a means to express suppressed male sexual frustration through destructive means. Thanks to all at PFC for the work that made this all important reading available. Practice of all the physical writing as tied to vocalizing the associated concepts to ease them out of your consciousness was a most welcome part of these notes. Thank you, P, for taking the notes for all of us to read! You are most welcome Rob! I was just writing down the primary contract when I noticed the last word on the sixth line, darknesses. Is this the intended word or a typing error of the word darkness. Thankyou for everything that you do. Thank you, it has now been corrected! All my primary contracts with the darl forces are now null and void. Cobra was a little particular in having us get the wording right as he asked someone to read it back to him and i voluntered and got it right. He then asked someone to read theirs in Portuguese, and when they got it wrong he asked someone else to say it untill it was right. this took about four readings i think. victory to the light, Edwardo! Thank you, I updated the contract removal part and added your SOTR link to our post.